66,500 is a big number. That is the number of retail jobs in lost in 2017. While many retailers have closed stores, others are fighting back by changing their retail approach. An article last month (Retail Workers Suffer as Shopping Habits Shift) detailed the retail job loss numbers like one in seven jobs was lost last year in retail sectors like clothing and electronics. The article also outlined how some retailers are changing their ways to combat the current retail shift. As I read the article, I found myself assessing whether these changes would work based on shopper behaviors. I though I would assess three retailers actions (Best Buy, Walmart and Target) in this blog. Best Buy has been trending well against Amazon for two reasons: they stepped up their online presence to compliment their retail stores, and they are out-dealing Amazon (let’s face it, while Amazon is convenient, if you want a great deal put some effort in and look elsewhere). Their next tactic is to bring Best Buy to your home. In key markets, Best Buy is sending a sales associate to a person’s home to help designing a home office or home theater system. Walmart is focusing on curbside pick-up. This is a general trend in the grocery category. Many grocers have already deployed curbside pick-up services, and other companies like Shipt and Instacart will do the grocery shopping for you and deliver it to your home. Walmart employs 18,000 personal shoppers who fulfill online orders. The Target approach is accentuating their retail experience with dedicated employees in areas like beauty, electronics, and clothing to assist shoppers and increase sales. The retailer is also integrating visual merchandising into those areas similar to what you would find in a specialty store. From a shopper’s perspective what is driving the retail shift? To assess these tactics, let’s first look at what is driving the retail shift to online shopping. A primary factor contributing to the shift is the hate or disdain for shopping. In the many of my retail studies a consistent theme is that about 50% hated shopping and 50% enjoyed shopping regardless of the category. This love or hate is a part of the shoppers DNA – it is how they react to shopping within a product category. The hateful shopper is a powerful force driving the shift in retail. If a person hates shopping in a product category, the want to minimize their time in the retail environment. 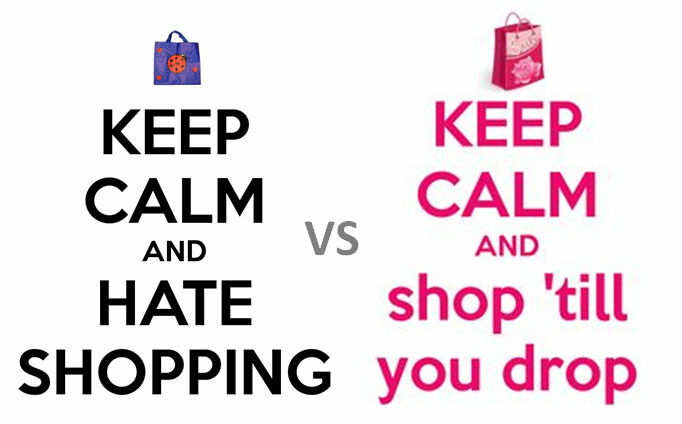 An obvious choice is to forego the shopping experience and either buy online or have someone else do their shopping. Convenience does play a role, especially for time deprived individuals. 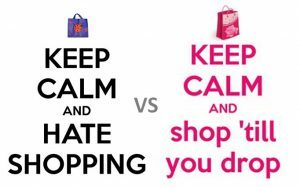 However, if someone truly enjoys shopping they will spend their discretionary time shopping, because they enjoy it. Shoppers who love shopping typically into two categories: passions and deals. People who are passionate about fashion, tech, or food will more likely spending time planning and shopping for their passion. The time spent is not be exclusive to the retail environment; it also can include time planning or searching online. Deals, or the desire to save money, can be an emotive driver for some shoppers. These shoppers will spend time to save money. They will freely go to multiple stores to get the best grocery deals. They will find their cross-shop fashion deals at many retailers, always on the hunt for a fashion bargain. The effort to find the best deal counters convenience, because the “best” deal is rarely with one retailer. How will these different retailer actions combat the shift? Based on the “hate” in the shift, let’s assess the three retailer’s actions. Of the three, Walmarts approach would appeal the most to haters. Any minimilistic approach would appeal to the haters, and the less the better. An issue for Walmart is that this is not a unique offering. As I stated prior, most major grocers have some type of curbside service. The true nemesis is the one’s that are delivering to the home (e.g. Shipt, Instacart, Amazon). Critical to differentiating from the pure online plays will be the “deal” – two-thirds of grocery shoppers are deal seekers. While some deal seekers may hate shopping, they love the deal more and still want to minimize the amount they spend on groceries every week. Best Buy In-Home Expert is appealing to the DIFM (Do-It-For-Me) crowd. Many DIFM’ers don’t like shopping tech, because they do not understand it let alone how to integrate it into their home. The home visit is a good idea to extend the retail reach of the brand. Also, the in-home visit appeals to people buying high-ticket items. I do question the the number of people today, who would truly need an in-home visit. This in-home tactic may just be a test by Best Buy to determine the viability. However, Best Buy may also be planning for the future. I believe the true opportunity for Best Buy is the trending increase in Smart Home devices. Smart Home devices (e.g. healthcare, security, HVAC control, entertainment) are projected to grow by about 14% a year and reach $15 billion in 2020. The combination of Best Buy plus Geek Squad would be a force in this market. Target’s approach is not much different than their current marketing, and that’s a good thing. There is a lot of brand love for Target. By accentuating the current experience they potentially can deepen the brand love, the brand loyalty, for Target. I do question if this is enough to counter the retail shift. While many people love shopping at Target, the addition of groceries over the last five years, may be creating shopping angst. I am not so sure the love of Target is translating into the love of grocery shopping at the store. Also, Target’s affluent customers overlap with Amazons, and Amazon’s purchase of Whole Foods last year is a considerable threat to Target’s grocery business. Target did buy Shipt last year to expedite direct-to-home delivery efforts. Still, groceries are still a considerable amount of retail space in the store. Target needs to figure out the role of groceries in their retail environment. For example, they could enhance the grocery experience to appeal to the foodie shoppers or roll up their sleeves and go after the deal seeker. The foodie seems like a better fit for Target’s current shopper, but can they get enough market share to make this a viable option? One last thought on this subject is the Amazon Effect in this equation. Amazon is setting expectations for many shoppers in today’s marketplace. You could argue they are the primary catalyst in the retail shift since they account for about 44% of online retail sales. Amazon is about convenience, about speed – getting the items you want as quickly as possible to your front door. To this end they are constantly resetting the convenience bar from prime shipping to Amazon Go to the most recent announcement of free two-hour delivery from Whole Foods for orders of $35 or more. Convenience becomes very powerful, especially when you combine it with a hatred of shopping.